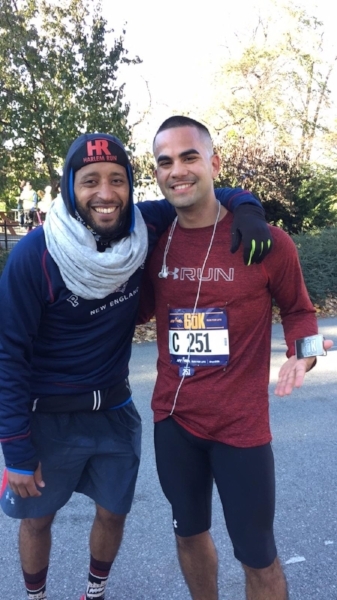 I haven't run a race since the 2016 NYC Marathon. There were several reasons I didn't want to race anymore -- I felt like it was getting expensive on my wallet and my body. I was getting so tired of always have to deal with running injuries that I decided a break would be good for my legs and my mind. Taking a break for 2017 was such a great idea because it made me take a step back and fall back in love with running on my own terms. I didn't run as much as I used to but I made it count when I hit the road for some miles. I have yet to sign up for any 2018 races but I can't wait to get back into it. My main concern is to stay injury free and have fun with it. In the meantime, I am working on building my strength, focusing on my form, and FOAM ROLLING!